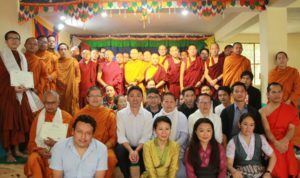 Tibet world organized a talk on Compassion + Wisdom = Happiness by Director Tibet World Yeshi Lhundup for DISCOVER EVERLASTING HAPPINESS. Everyone can participate and discover happiness. We have almost 20 participants. 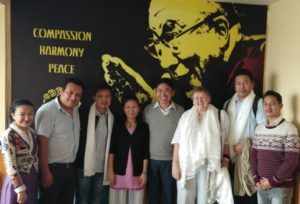 The Director of Tibet Relief Fund, Philippe Carrick visited Tibet World. Tibet Relief Fund has been working with Tibetans since 1959. It’s one of the longest and oldest Tibetan support groups. They are supporting on education, health, social and community. We were very happy to meet director of Tibet Relief Fund and we would like to say thank you very much for your very long support for Tibetan and also thank you for visiting in Tibet World. 3) The providing better facilities to the students for learn better. He further added, by running time and changing years the organization has grown up in every aspect of development. In the cultural sector the organization is very active in contributing by conducting various cultural events, especially regular folk shows and by now they have successfully conducted 168 shows. One of the most remarkable workshops “Compassion + Wisdom = Happiness” has been conducted 11 times successfully. 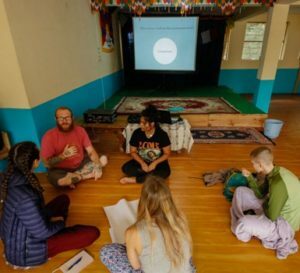 The agenda behind this is the exchange of moral values and acquaint the world with the moral ethics of the Tibetan Culture in return to the knowledge gained about the world. 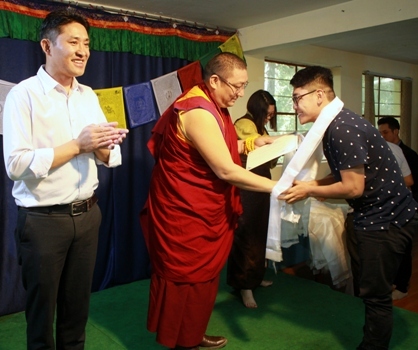 There are 150 students under the course and 49 students were felicitated with certificates, mostly monks who specialized in the English language. One of the students (name) offered a bag of rice, mineral water bottle, a crate of egg, and specially offered necessary office requirements to the organization as a thanking gesture. Monks offered prayers which added to a peaceful environment and graced the event. The event was concluded by vote of thanks delivered in Tibetan language by Chinese Teacher Sonam Khando and in English language by English teacher Tenzin Cheoegyal. Towards the end refreshments were served to all the students and staffs present for the ceremony, offered by the students from the Thailand monastery.